Jim Storer and his wife took early retirement to give them more time to explore the countryside. 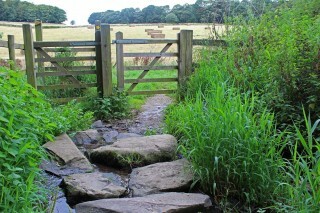 He has uploaded several of their favourite routes on myviewranger.com with photographs for others to enjoy. Jim says, "Our walks are always cross country and are about enjoyment of the outdoors, not target or survival treks. The cycle routes are usually off-road but on hybrid bikes and not mountain biking." "My hobbies of photography and wildlife fit in with the routes and where possible we try and include places like National Trust properties to tie in my wife's gardening hobby. "ViewRanger has greatly increased our enjoyment of our walks and cycle rides. It is the only app I have ever reviewed and I gave it 5 stars." "It has even stopped the arguments about how far we have gone. My wife tends to exaggerate and I am much more conservative in my estimates. Points have been scored on both sides as we have used the tracking tool on myviewranger.com to retrace a few routes." "We are now more confident in attempting circular walks and ones that include catching public transport to the start of the route. It even helps on the bus, when you can see where you are and where to get off. It is great having a 'dashboard' on the bike. I am very careful about not pushing my wife too much when it comes to bike rides. I don't want any rides to become spoilt by going too far. I also enjoy the route creation for others to see our journeys. It takes me back to the time we did the route and reinforces the memories of the day. I have always wanted an online history of our travels and ViewRanger is just what I was waiting for. We plan routes on ViewRanger before going out as it useful too know the gradient of the climb on routes like Blencathra. On hill and mountain walks we still use the 1:25000 paper maps but ViewRanger is a great confidence booster with location and seeing how far you have come and how far to go. As a photographer, it has added a new dimension to my pictures. My Digital SLR shoots jpeg at over 12mp but I downsize then to roughly 2mp for ViewRanger. This is more of a winter destination than walk and is best in November and December to see the Grey Seal breeding colony. 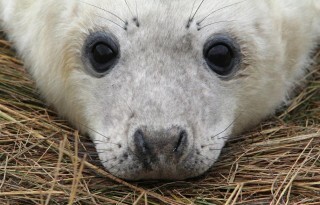 Â There are over 4000 seals with about 1000 of them being new born pups. The seals really have the cute factor but remember they are wild animals.There is a fence and local volunteer wardens help to answer questions and make sure the seals are not threatened in any way. The Lincolnshire coast is very cold at this time of year and full walking gear is needed. 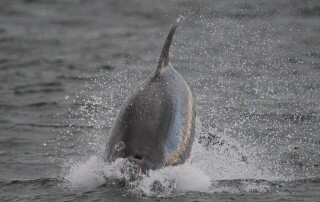 Chanonry Point - A great place to see dolphins, near Inverness. The best time to see the dolphins is between June and August. We have been to this location on 3 visits once you have seen the dolphins up close, you have to return.Â The last time we went, we were lucky to have 6 high tides over the 3 days during daylight hours. We saw the dolphins on 5 out of the 6 tides. The dolphins tend to come in on the tide, 3 hours before high tide. The second walk is a small river walk created by the locals and they call it the fairy glen. You might want to do it while waiting for the tide.Chanonry Point is at the end of the spit of land on the right of the photograph. Clumber Park - National Trust Park in Nottinghamshire. Bradgate Park - Lady Jane Grey's old residence in Leicestershire. Bradgate Park is a favourite leisure area for the Leicestershire people. The tarmac path is used by 95% of visitors as it is a flat all-weather path suitable for all. This round the park route visits the main view points in the park affording vistas right over the county. The route we suggest uses the less busy areas of the park. In the park is an old folly called Old John. There are many myths and legends about Old John but the truth is that it was built so that the gentry could watch horse racing around the hill.Â There are also ruins of the Grey family house. Lady Jane Grey was nine days Queen of England but lost her head during the Tudor power struggles. The ruins are open most Saturday & Sunday afternoons, except in the winter. 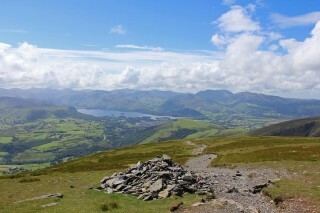 Blencathra - An easy mountain climb near Keswick, in the Lake District. A good climb with great views from half way up and above. It took us 4 hours there and back (including a picnic at the top) but younger bones could do it in 2 to 3 hours, no problem. The summit gives great 360 degree views and is well worth the climb. Jubilee Walk - Â Beacon Hill in Charnwood in Leicestershire. This route through Charnwood, Leicestershire was created for the Silver Jubilee and opened by Prince Charles. Â It includes a labyrinth, a small figure of eight cut out in the undergrowth and llamas - they look after the sheep! All of Jimâs routes are easy to download to any Apple, Android or Symbian mobile device and they can be stored on your device, including the marked path on the map along with the text descriptions and, in many cases, photo's of the trail.